Returning to his childhood home for a funeral, a man’s memories are stirred by the farm at the end of the lane. A place with a pond that the youngest Hempstock swore was an ocean. He remembers the three women who lived there all those years ago and the creatures that lived in the world beyond. This is one of those stories that can be read one of two ways. Perhaps it is a fantastical tale of things from another world. On the other hand, there is enough in the way it is told to suggest that this is something the narrator has made up, a story more acceptable than facing childhood abuse. He had forgotten it ever happened until he returned many years later. The mind might try and forget abuse but would you forget such unusual events? The narrator’s childhood equilibrium is broken when his parents find themselves struggling financially. They rent out a room to bring in more money, inviting strangers into a child’s safe place. When one of those strangers is trusted by the parents but isn’t worthy of their trust, it places the child in an awful situation. He witnesses things he shouldn’t see and feels he can’t turn to his own family for help. It feels like a world a small, frightened boy might create past the pond at the end of the lane. A childhood world of make believe masking events he was too young to face. Didn’t we all make the landscape we played in more than it was? I’m always a bit nervous picking up a book everyone seems to love. 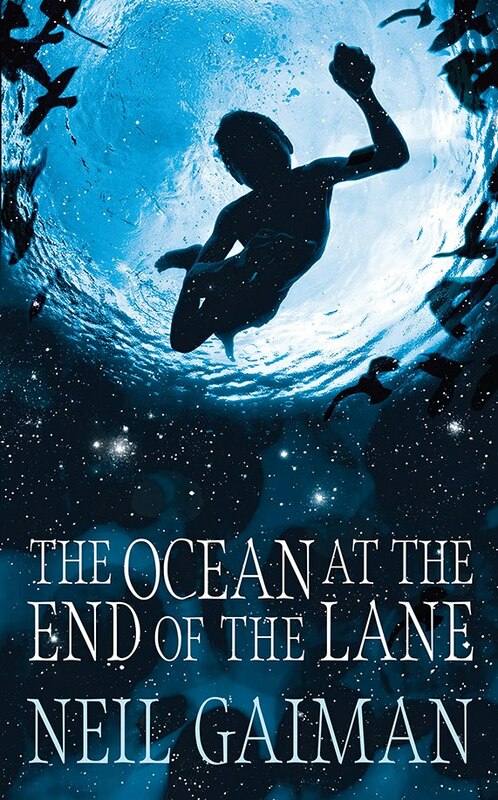 I liked The Ocean at the End of the Lane, but I didn’t love it. The rest of my book group felt the same at least, though some of them felt they wanted it longer, with more fleshed out characters. I liked the fairy tale feel to them and I’m not sure I would have been engaged for a whole full length novel. I feel like I'm the last person in the reading world who hasn't read this book yet. I'm thinking I might spring for the audio since Gaiman reads it himself. That might be a better fit for me than reading it. I have a few of his books on audiobook for that reason. I'm not very good with listening but I like the idea of him reading them.